If your home was built in the 60’s you might have copper vent stacks. 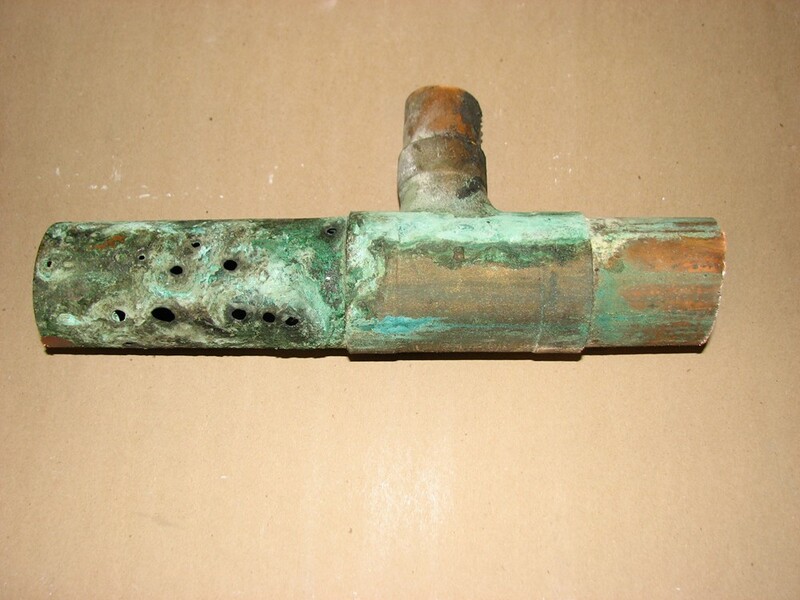 This is one example of what happens to copper when it has been exposed to sewer gases for 50 years. If you have a smell in your home that you cannot explain and you have copper vent piping, I suggest you cut out the wall behind the bathroom vanity and look at the copper pipe. Chances are it will look like this. I have personally changed two vent stacks in this condition. I have not seen this condition in the city when connected to the municipal sewer system.